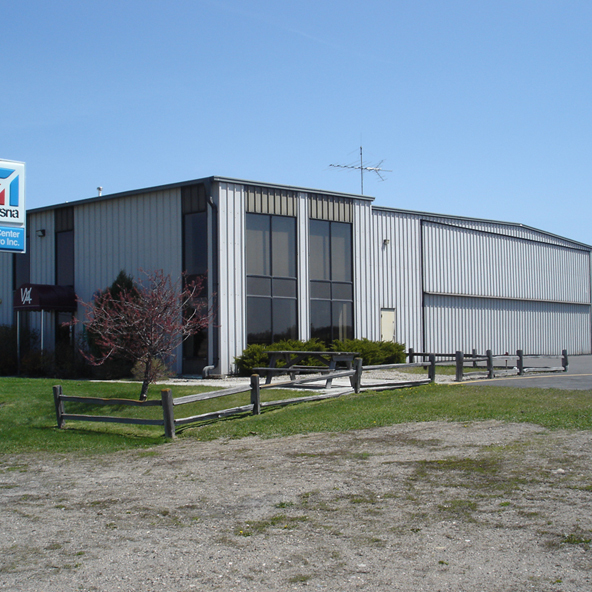 Let Systems West land the right hangar for you! Systems West has a long-standing history of supplying high quality aircraft hangars using several different pre-engineered building systems. With the most efficient all-steel design and construction, Systems West aircraft hangars will give you assured quality and performance. Systems West offers you the advantage of a construction company that understands the aviation industry. We have three licensed pilots on our design-build team. Our team understands flying, knows airplanes, and is passionate about building. 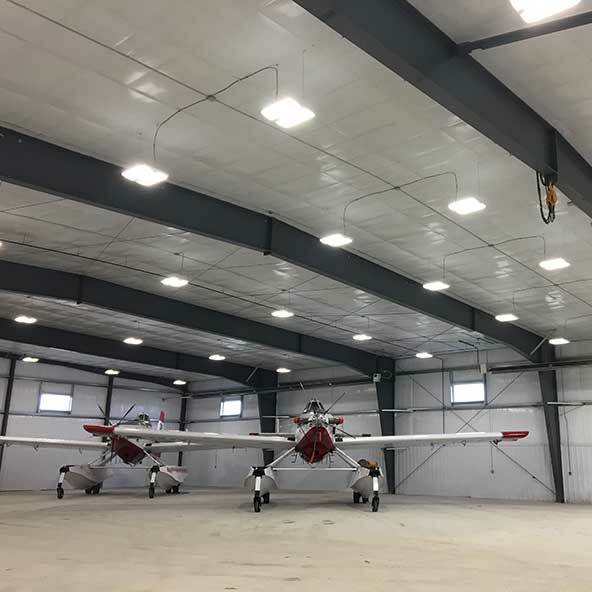 Whether you are looking at a single small engine airplane hangar, or a large T-Hangar structure, we have the experience and capabilities to make your project go smoothly and give you a final product you will be proud of for years. In fact, we have many satisfied customers in the five state area that are all proud of their Systems West hangars. We design and build each aircraft hangar to meet the needs and use of each projects situation. Through our design-build process, Systems West offers single source responsibility for your project; from design, concrete, insulation, floor coatings, and doors, we have the solutions for you. 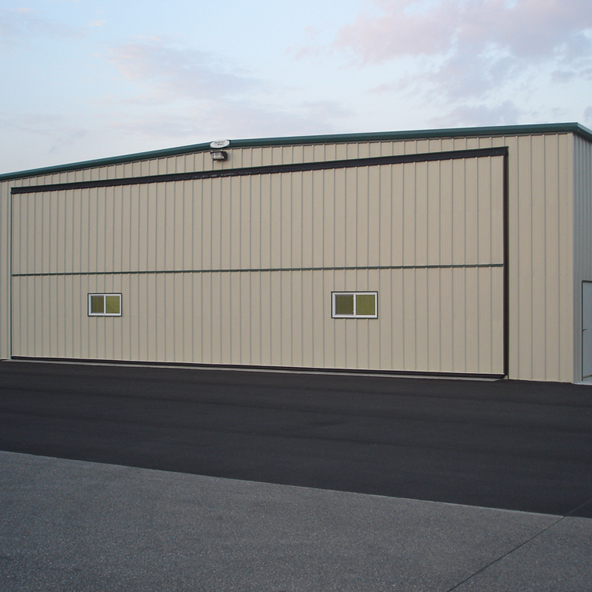 Systems West can offer a wide range of door options for your hangar, including bi-fold, hydraulic, overhead, or sliding doors. 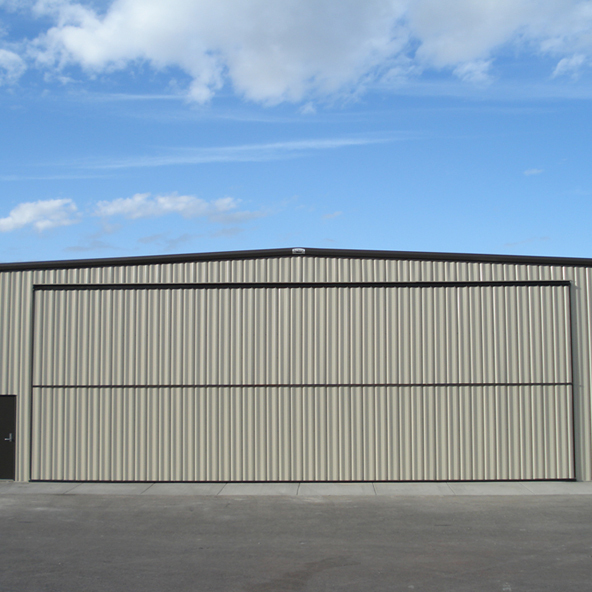 We have many different wall panel, roof panel, and trim options to customize the look of your hangar. We will build a quality facility customized for you.